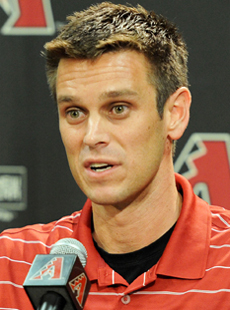 Ken Rosenthal announced today that the Angels will be naming former Arizona Diamondbacks GM Jerry DiPoto as the new Los Angeles Angels General Manager. The new GM will be announced Saturday. Enjoy this podcast with some funny moments from Friday's Sports Lodge on AM 830 KLAA. Want More? Listen to yesterday's episode. and Subscribe to this podcast! Don't forget to subscribe to this podcast, and the new album, "Chasing the Golden Age" from Danny Hauger and guests, comes out in just 2 weeks on iTunes! Thanks for listening! Buy Songs to Wake Up To Today! on iTunes and Amazon. By the way, a new album is confirmed. Two weeks away, new songs, new collaborators, same spirit with new energy. We are just two weeks away from the new album, be a part of it, send your art or ideas now to danny @ dannyhauger.com ! Had a lot of fun today with Roger Lodge and James Allen on the Sports Lodge as always, airing Monday through Friday, live at 7-10 am on Am 830 and www.am830.net from Los Angeles, California. On today's Best of Danny on the Sports Lodge October 27th 2011 - we talk about my home boy T-Bone from Watts, the top grossing film star of all time, Sports Teams that don't end with the letter "s", and missing people's names on the phone. By the way Jose Canseco, no forgiveness here for Madonna. Listen to this episode and Subscribe to this podcast! Don't forget to subscribe to this podcast, and the new album, "Chasing the Golden Age" from Danny Hauger and guests, comes out in just 2 weeks on iTunes! Thanks for listening! As always, A good time was had by all today on the Sports Lodge with Roger Lodge on AM 830. Having some fun talking soccer and top sports news today. Today we had some fun with a botched rewind segment and the recap for my play-by-play with the Golden West College Rustlers at 3:00 PM on October 25th, on Time Warner Cable channel 98 against the Orange Coast College Pirates. Enjoy the clip, and catch the Sports Lodge live weekdays 7-10 AM PST on AM 830 and AM830.net. My next broadcast is Saturday at OCC for Football. Subscribe to this podcast! Don't forget to subscribe to this podcast, and the new album, "Chasing the Golden Age" from Danny Hauger and guests, comes out in just 2 weeks on iTunes! Thanks for listening!Buy Songs to Wake Up To Today! on iTunes and Amazon. A good time was had by all today on the Sports Lodge with Roger Lodge on AM 830. Getting a little off track... and onto trucks.... country music more accurately. Enjoy this short best of from today's show, The Sports Lodge airs Monday through Friday 7-10 am on AM 830. Plus a little trio singing to Patsy Cline, on Willie Nelson's Crazy. I'm always glad to work with Terry, and am glad to share this track that we collaborated on together for my future instrumental album. By the way, that album is confirmed. Two weeks away, new songs, new collaborators, same spirit with new energy. We are just two weeks away from the new album, be a part of it, send your art or ideas now to danny @ dannyhauger.com ! Great sports action all weekend! This is the Sports Radio AM 830 Blog for Friday, October 21st, 2011. Friday night pre-game for the Ducks starts at 6:30 with Steve Carroll and Dan Wood. Puck drop follows at 7:00 PM. Saturday pre-game for the Trojans and Fighting Irish begins at 3:30 with a 4:30 kick-off. Enjoy a fierce competition between two top programs battling for recognition. Sunday we carry the Oakland Raiders at home taking on the Kansas City Chiefs. Pre-game is at 12:35 with kick-off taking the game into play at 1:05. Following the exciting NFL action we get you onto the ice as the Ducks play the Coyotes from Phoenix. Pre-game is at 4:30 with puck drop at 5:00 PM. Its an action packed weekend, so listen in and lock the dial on Sports Radio AM 830 KLAA. From Spotify to Soundcloud, I am finding new ways to utilize my music more efficiently in the public sphere. Trying to increase search optimization while preserving a connection with an internet audience becomes and ever evolving state of intuition and technical advancements. In planning for a new album release and expanding my reach as a struggling musician I have prepared this simple start-up guide for Soundcloud. The fastest way to get started is to sign up with your Facebook account. After all, this is another social media type program to publicize your audio. From there you can upload your first song in less than two minutes and publicly post your productions to your Facebook page by sharing your link. Nothing remarkable until you see the playable embed you just placed for all of your contacts. It looks great and plays instantly after selection. This is the best method of sharing to Facebook for my music yet, and I had to share that with all of you. Come sample my cloud, and good luck sharing your sound with the world. Nothing throws radio into more exciting territory than a good, old fashioned, crossover show host debate. Lugnutzz Radio held over for Rex Hudler to come on and defend statements about broadcaster's knowledge. 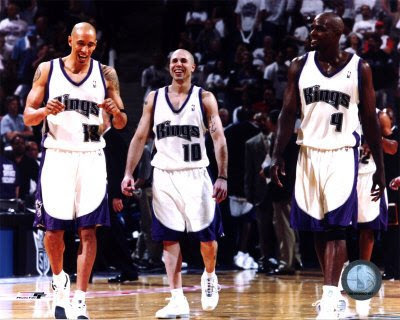 Does a former player have a more intimate view and opinion of sports topics? Does Jim Rome come at a disadvantage for never playing the game? Can a broadcaster give an adequate inside opinion of expertise? Email your comments to danny@dannyhauger.com or leave a comment here. The statement that set it off, "The guy never put a jock on". Then the show took a fun twist, a debate, some laughs, and a discussion of sportscasting, great and weak, Jim Rome, and radio in general. Short cameo for me in the middle, lots of fun on Sports Radio, AM 830, KLAA. NASCAR, Baseball, and fun, a little bit of my radio day. For the week of October 17th, 2011, its time for the Sports Radio AM 830 Blog! It’s World Series Week on Sports Radio AM 830. Lots of weekend winners on AM 830. The Ducks got off to a hot start Sunday evening with a 1st period goal from Bobby Ryan. On Corey Perry night the Ducks were in full flight. The Oakland Raiders were victorious but unfortunately sustained an interview to quarterback Jason Campbell. Saturday on AM 830 the Texas Rangers defeated the Detroit Tigers advancing to the World Series for the second consecutive year. Looking forward to another big sports week now. Listen to the Sports Lodge with Roger Lodge every morning live at 7:00-10:00 am for recaps of all the major stories in sports. Coverage of the 2011 World Series begins Wednesday, October 19th at 5:30 PM PDT. From Josh Hamilton, “We expect to win this year”. Listen in and find out what history has in store for crowning a champion. The Anaheim Ducks have a Monday night affair at HP Pavilion from San Jose, California. Broadcast begins at 7:00 PM for a fierce hockey contest. Tune in all week for outstanding sports radio, Sports Radio AM 830 KLAA. Roegr Lodge spent the greater part of the first hour stuck inside the AM 830 elevator at the Big A on Friday morning. KTLA was on hand for the event. I got a little audio from the event as Roger saw me through the crack in the elevator. Live Los Angeles Radio! Can't beat that! How pro to keep the show on the air. Welcome to the Friday Sports Radio AM 830 Blog, October 14th, 2011. What a day to begin the Ducks Home Opener as The Sports Lodge went live from the AM 830 elevator for the first time in history. Roger was stuck on the second floor and still hosted the show! Listen each weekday morning from 7-10 am for more of The Sports Lodge. We're counting down to 6:30 PM PST Pre-dame with Steve Carroll and Dan Wood from the Honda Center in Anaheim, California. Don't miss puck drop at 7:00 on Sports Radio AM 830, KLAA. Corey Perry, Ryan Getzlaf, Bobby Ryan, and the Ducks will be ready to take down the Sharks and start the home record clean in 2011-2012. Danny Hauger can help facilitate your communications in an effective and efficient manner. Don't waste precious time and resources on syntax and verbage, let a professional featured contributor on Yahoo!, Bleacher Report and the Los Angeles Times produce pieces suited to your custom needs in less than 72 hours. RECENT ARTICLES 10-15-11 25 Greatest Sacramento Kings All-Time Travel to Rosarito, Mexico and the Casa Estrella Orphanage Part Four Travel to Rosarito, Mexico and the Casa Estrella Orphanage Part Three Travel to Rosarito, Mexico and the Casa Estrella Orphanage Part Two Travel to Rosarito, Mexico and the Casa Estrella Orphanage Part One American Law Effects of the Dred Scott Decision Part Two American Law Effects of the Dred Scott Decision Part One Small Dietary Supplements Manufacturers Battle the Food and Drug Administration Part One Danny Hauger Concert with Songs to Wake Up to Opens Relay For Life Cancer Benefit Reviewing Christian Codependence by Stephanie Tucker Textbook with Workbook Assessing Research in Employment Figures and Studies Part One Pixar's "Monster's Inc." Retro Movie Review Featuring John Goodman Homer Simpson: Pop Culture Icon Part Three of Three of "The Simpsons" Review Homer Simpson: Pop Culture Icon Part Two of Three Homer Simpson: Pop Culture Icon Part One of Three These samples published on Factoidz, click here to join and earn now! Featured Technology & Entertainment Writer for Yahoo! This is the featured song from the unreleased EP, "Songs to Wake Up To" which features 100% original guitar instrumental music including "Jackson Valley", "Without You", and "Still Sleeping", which could be yours today for $1! The entire 10 track instrumental EP can be ordered FREE with free digital delivery to your email for any donation to my music via paypal. Even $1 donated will get you the entire album. To donate, click below, and I will email you the zipped album, and thanks for supporting my music and podcast! I will email the zipped album directly to the donation email address within 24 hours. One of the lessons of life I learned early was avoiding rare naked chokes. Listen to this clip below for an understanding of why courtesy Lugnutzz Radio on AM 830 KLAA on October 8th, 2011. As a board operator and radio producer, its unimportant to be in shape, keeping two properly trained fading fingers and a quick reaction to the dump button have enabled me to share this radio clip with you, thanks for visiting. 9:30 pre-game time everybody - its time for hockey! Tune in now to the Sports Lodge on Sports Radio AM 830 and www.am830.net for all of the MLB playoff action and preparation for the puck drop on the first game of the 2011-2012 NHL season. Game time is set for just after 10:00 AM PST. The home opener is a week away with the San Jose Sharks but the Ducks take flight from Helsiniki, Finland. International hockey action begins on this Friday on your home for the Ducks, AM 830. Listen in as the "Finnish Flash" Teemu Selanne continues his historic quest for the hall of fame and a Stanley Cup for the Ducks. Tune in and find out who will be the early season star for Anaheim. Corey Perry, Ryan Getzlaf, and Bobby Ryan take the line ready to get the new season off to a strong start. Saturday and Sunday Sports: The Ducks play the New York Rangers at 10:00 AM. Following the Ducks listen in for exciting Notre Dame Football. Sunday morning we have Raiders football against the Houston Texans at 10:00 AM. From the ice to the field, tune into Sports Radio AM 830 KLAA. Its going to be a great weekend of live sports action. Plus the Rex Hudler Wonderdog Show is on this weekend, listen to Rex thank podcast host Danny Hauger on his 1 year anniversary show. Have a great weekend all!